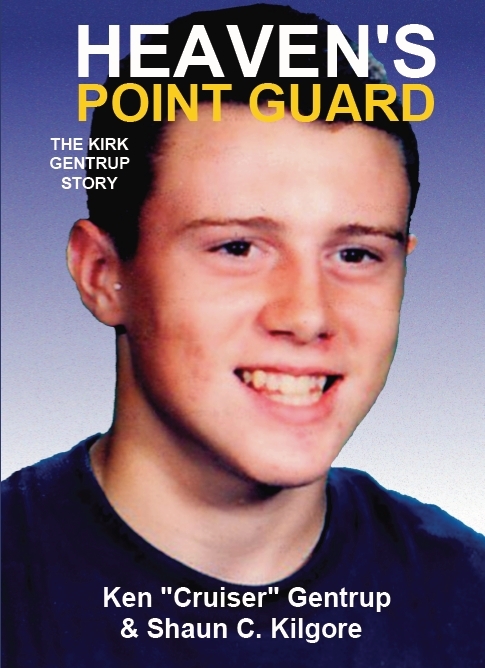 Attention, we are happy to let you know that the official release date for HEAVEN'S POINT GUARD: The Kirk Gentrup Story is NOVEMBER 5, 2010. While we at Founders House were planning an October release, we settled upon this new date to ensure that our customers will be able to purchase copies of our second book without trouble. Thank you for your patience - and your excitement. HEAVEN'S POINT GUARD is the story of sixteen-year-old Kirk Gentrup, popular student, star basketball player, and all around great athlete, who was tragically struck by lightning while on the baseball field in 1995. Written from the perspective of Ken "Cruiser" Gentrup, Kirk's father, the story includes many stories, recollections, and messages from those who knew and were impacted by Kirk's example in the sport he loved and in his community. HEAVEN'S POINT GUARD is both a memoir of Ken's attempts to cope with the loss of his son and a testimony to Kirk's enduring legacy in his school and in the community. KEN "CRUISER" GENTRUP was born in Lawrenceburg, Indiana but moved to Cayuga, Indiana as a senior in high school in 1967. He graduated from North Vermillion High School in 1968. He currently lives in Covington, Indiana with his wife Rhonda. Ken coached the 2002 Class A girls state basketball champions at North Vermillion. Even today, Kirk remains Ken's inspiration in everything he does. SHAUN C. KILGORE, also a graduate of North Vermillion, has been freelance writing for over four years. He is also the co-owner of Founders House Publishing. Shaun currently lives in Danville, Illinois with his wife and children.